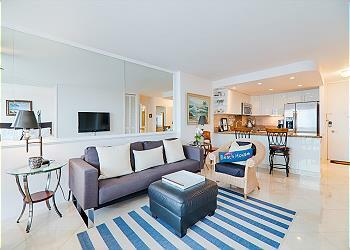 The Marine Surf Condominium is located right in the middle of Waikiki. 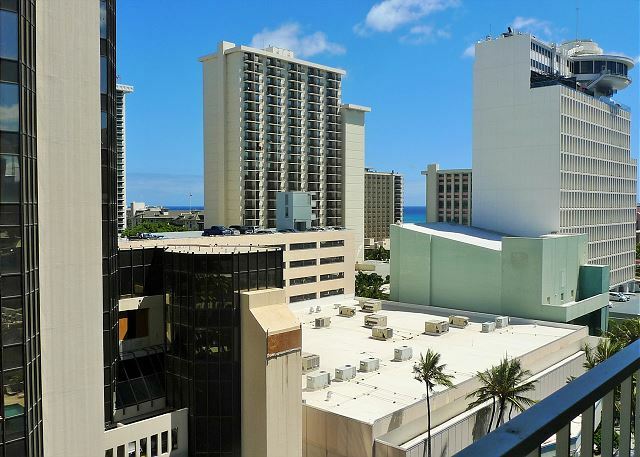 Only a few minutes walk to world famous Waikiki beach, Royal Hawaiian Shopping Center, Duty Free Shops and a multitude of restaurants around this building. Conveniently located near the bus stop, this secure building is accessed via a fob key that opens the garage, lobby and elevator. 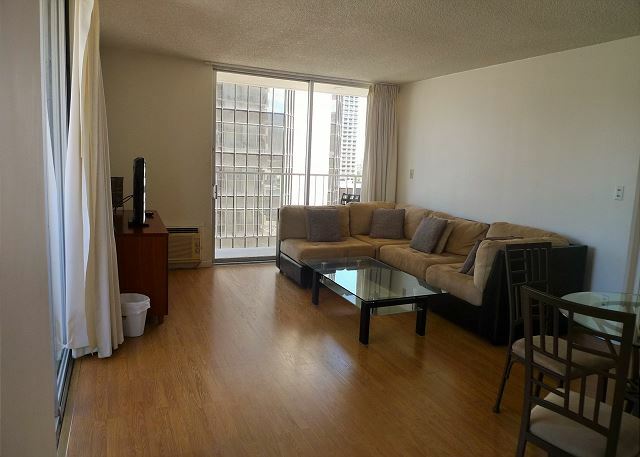 Coin operated Washer and Dryer is on each floor and pool is on 4th floor.This is a corner unit at Marine surf. It is breezy and cozy. The unit is renovated in May 2011. 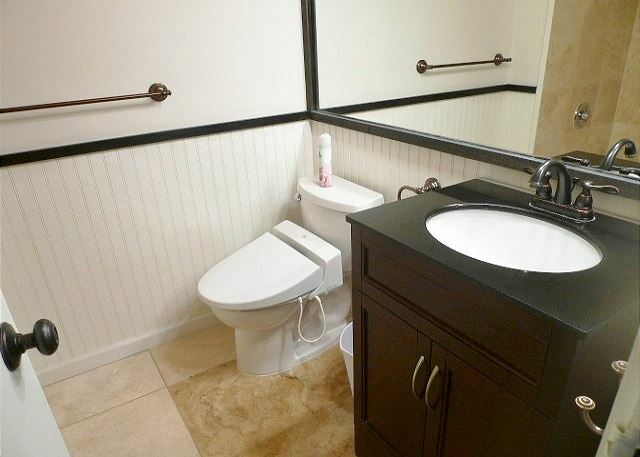 This unit has unique layout of 1 full bath and1 half bath for guest convenient. 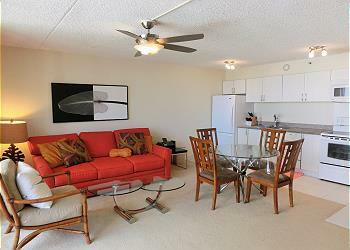 Enjoy mountain view from living room, which has two lanais, bedroom also accessible to lanai. 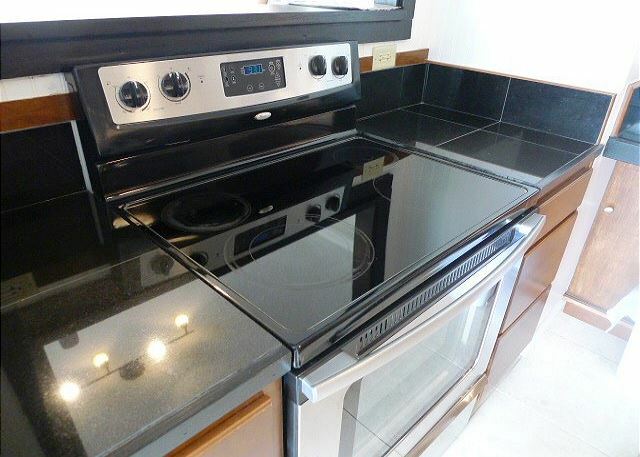 A full size and spacious kitchen will allow you to enjoy cooking as at home enjoyable time with your family or friends. 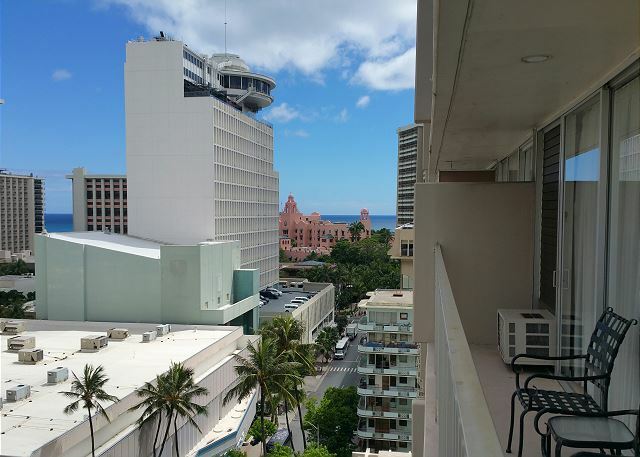 There are two full size beds in the bedroom, also a vanity area designed for comfortably preparing you for Honolulu’s best days and nights. 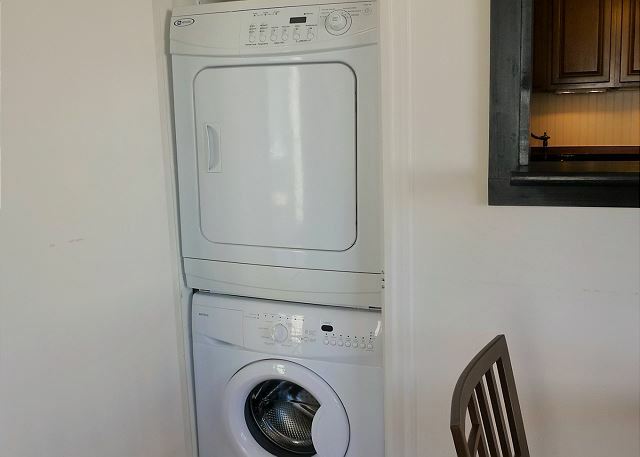 Washer and Dryer is in the unit for your convenience. 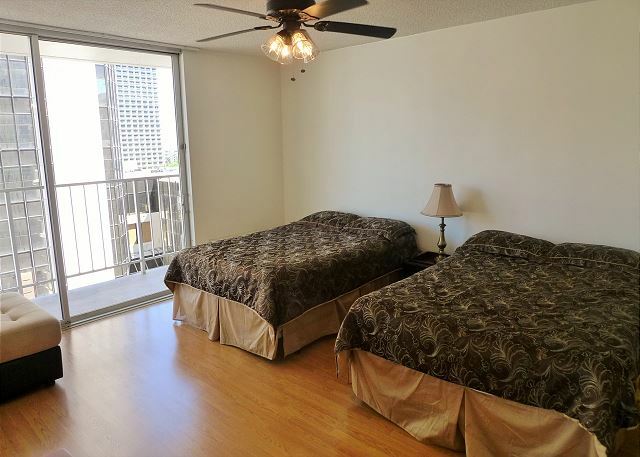 Awesome Location, and spacious unit! The building was in a great location, next to EVERYTHING! Everything is walking distance which was great and even a Parking space! 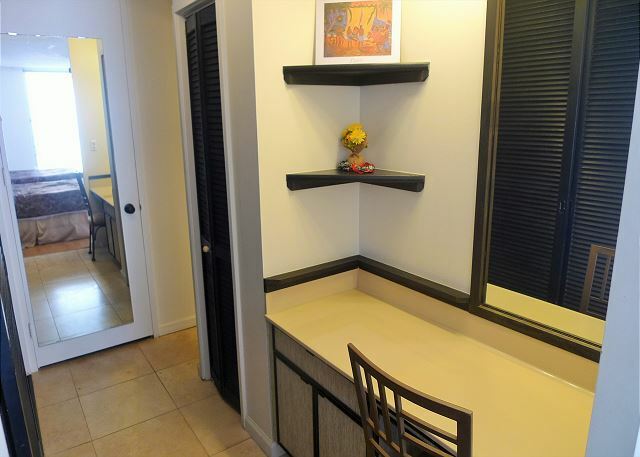 The unit was nice and had good closet space! Checking in and out was simple. I would definitely recommend this place and would love to stay here again in the future! Thank you ! 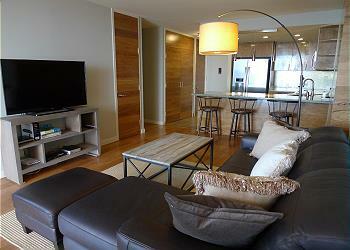 We just adored the condo, it was absolutely beautiful, clean, in good shape and very comfortable. 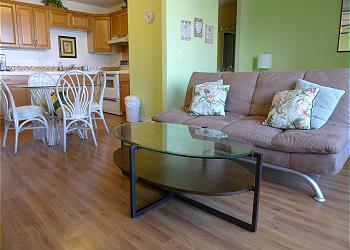 The vacation rental was in a perfect location and close to everything;the beach, stores and restaurants. Everytime we saw the staff they were very friendly and offered there help, if needed. 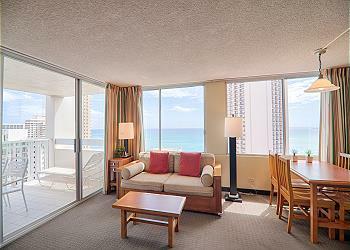 We would love to stay in this condo again for our vacation next year! We had the best time ever staying at this property! 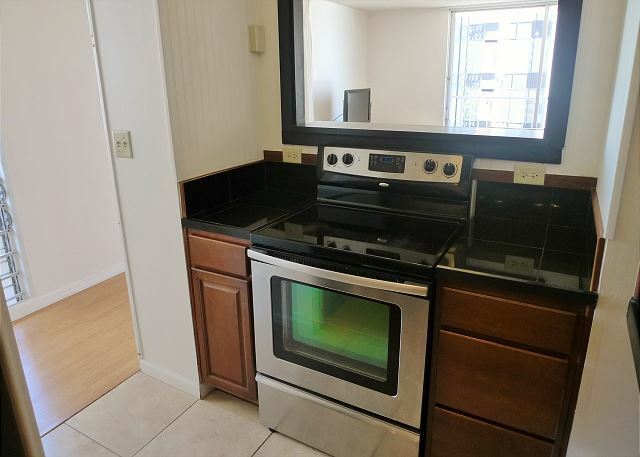 Would definitely recommend this property to others. Thanks for the lovely stay! I thoroughly enjoyed my stay at this property! 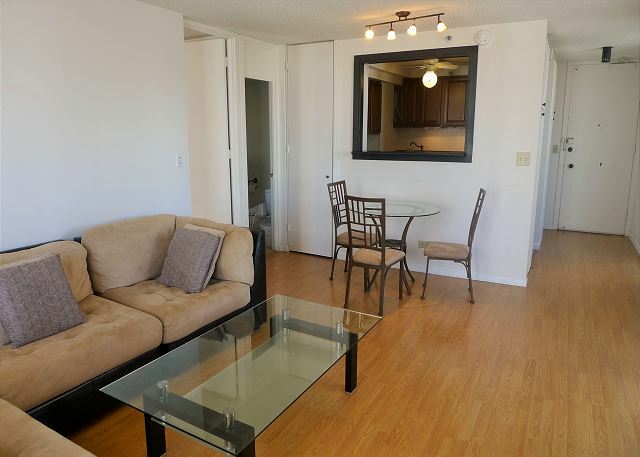 The location was superb, the condo spacious, clean and well-maintained. 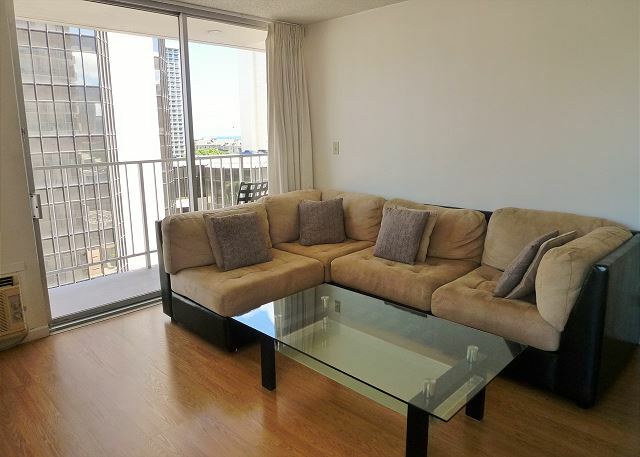 Located just a few blocks off Waikiki Beach, it was close enough to be convenient, yet off the strip enough to offer some peace and quiet. I definitely recommend this property and will return myself. 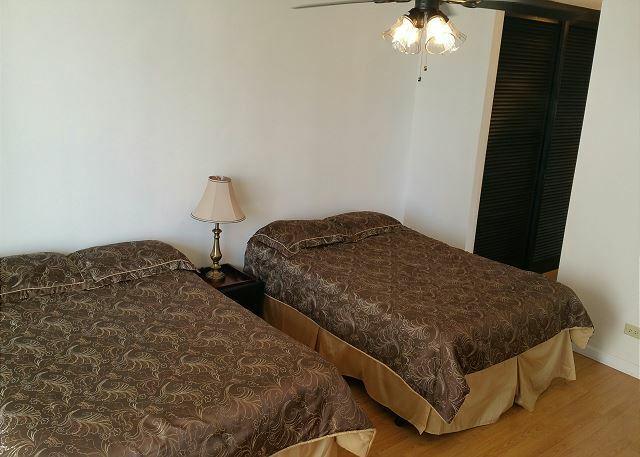 It's perfectly located a few blocks from the beach. 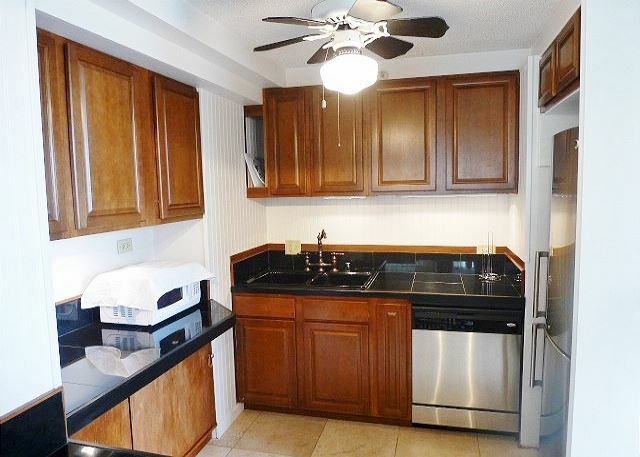 The condo was very clean and it was exactly as described. It was fantastic that the rental came with an assigned parking spot. It is far away from the beach to avoid the traffic mess yet close enough to walk to everywhere. It nice to be able to do some light cooking and have breakfast in the condo instead of eating out every meal. It can be a little noisy if you are a light sleeper because of a nearby bar. There are lots of shopping and restaurants with a block or two away. 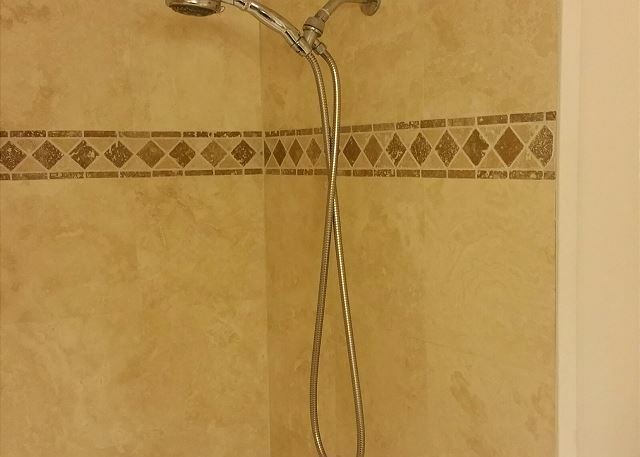 I am happy with this rental and I would recommend it to others. The surrounding views were great. Check in and check out was a breeze. Thanks for the rental! super good for family with small kids. 5.Washing machine, dryer is equipped. 1.The midnight, outside a very noisy.